I love spring! And Mexico City is especially beautiful during this season because everything is blooming all over the place. And there are many bird nests. 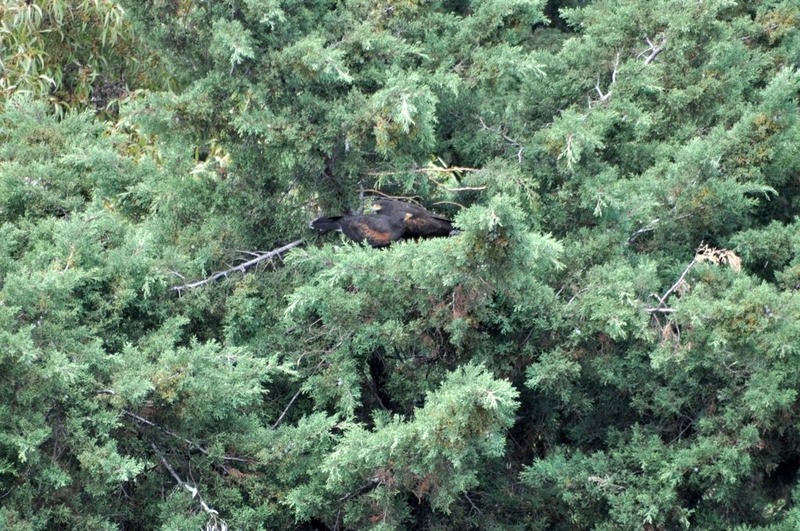 I discovered a new hawk nest two weeks ago. I caught both parents sitting together at the nest although it is difficult to see what's in it because a branch is covering it. Unfortunately, I don't have the equipment, nor do I know of any livestream nest cams operating here in Mexico. As far as I've seen, there aren't many people here who are passionate or even interested in watching hawks like I have experienced in New York City. The now famous NYC Washington Square Park red-tail hawk pair (Bobby and Rosie) has two new hatchlings, the first hatched earlier this week (April 9) and the second on April 10. This is the first clutch produced by Bobby and new mate Rosie, after former and long time mate Violet died last December 11. The nest is in the same location as last year's (at window ledge on the 12th floor of the NYU Bobst building); and fortunately the New York Times has once again sponsored the RT hawkcam. This year expert ornithologists at NYC Audubon are involved in the project too. Cornell University Lab of Ornithology has several nest cams, one is a red-tail hawk nest, another is a Great Blue Heron cam, plus more interesting stuff for bird and raptor watchers. One that is very exciting is the Decorah bald eagle nest cam, atop an 80-foot sycamore tree and is a Raptor Resource Project, aimed and specialized in the preservation of falcons, eagles, ospreys, hawks, owls. The bald eagle pair has used the same nest since 2008 and has successfully hatched and fledged more than a dozen eaglets. At this moment there are three grey little nestlings.